You might not give it too much thought, but your roof actually withstands quite a lot. Keeping you warm and dry from the harsh outdoor elements, your roof takes a beating from the wind, snow, sleet, hail, rain, sunshine, debris, falling trees, birds coming and going, and just about anything else imaginable. While most roofs are designed to last homeowners some 20-30+ years, things like roof moss growth and roof algae growth can degrade the longevity of your roof much faster than you might think. Our eco-friendly roof moss removal treatment process will leave your roof looking like new, all without making your wallet cry in the process. With simple solutions to otherwise hard-to-remedy issues, a free estimate for our roof moss removal services is the right place to start. 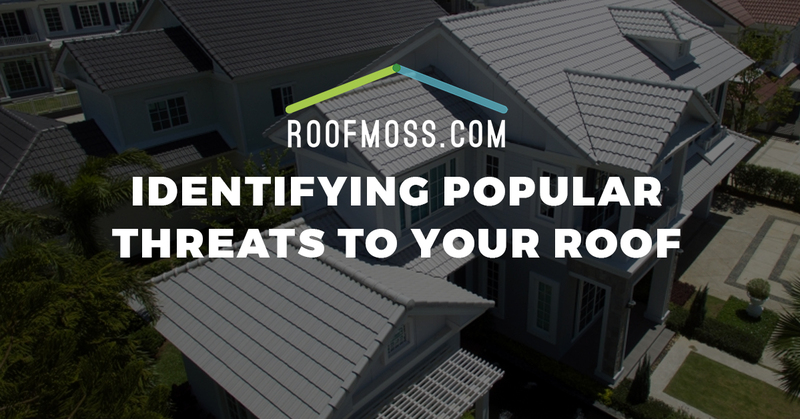 But roof moss and algae growth aren’t the only threats to your prized roof. Here are some other things that you should keep in mind when it comes to the routine beating that your roof takes (try not to lose any sleep over these things, though). Simply put, tree branches can snap and fall right onto your roof, causing quite a bit of damage. Though they might not look that heavy from afar, you really don’t want to underestimate the weight of a tree branch…especially when it’s being assisted by gravity. If you’ve ever lived in Wyoming, then you probably know what true high wind speeds are. We imagine that roof shingles for Wyoming homes are pretty dang strong, because high wind speeds can and will rip shingles right off of a roof. This then allows moisture or rain to seep through and damage the inner-roof. To state the obvious, that’s just not good. More so than rain or snow, hail can really wreak havoc on your average roof. Hail is much more concentrated and hard than its other hydrogen-based counterparts, and at the speed at which hail can travel down to the earth’s surface, you’re looking at some considerable damage to your shingles after a major hailstorm, to say the very least. Thriving on your cold and wet roof in our Pacific Northwestern climate, you’ll especially find moss and algae growth on the more shaded parts of your roof nearby trees. This is another great reason to keep your home’s surrounding tree branches cut fairly short. Constructing and designing the perfect roof might be complicated, but keeping algae and moss off of your roof doesn’t have to be! Get in touch with RoofMoss.com today for our roof moss treatment services.